People love to be startled or scared. Or, some people do. Nothing tends to be spookier than the thought of ghosts wandering around us. Here's a fun little app that might just make a believer in the supernatural out of you. Many of us believe in the supernatural, in ghosts wandering around our streets and homes. This app can help you find them and talk to them. 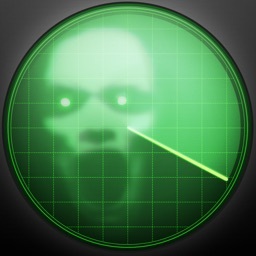 Ghost Detector Radar is a spooky little app. 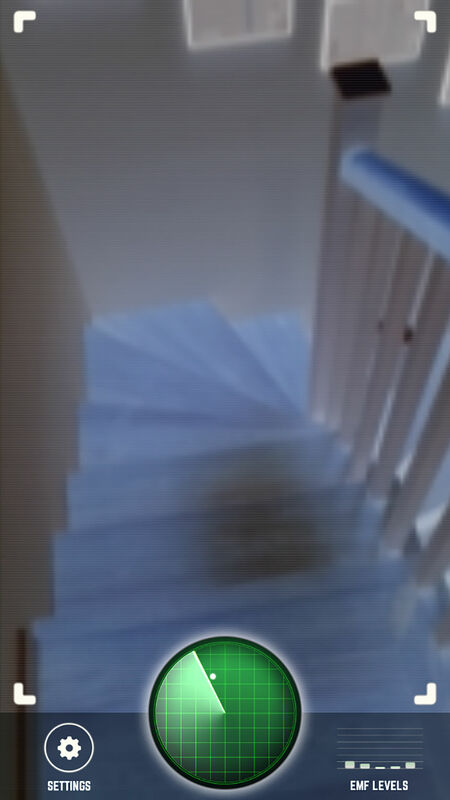 It uses the camera in your iOS device along with special filters to detect, locate, and communicate with spirits. You can ask the ghosts questions, if they don't run away first, and then get answers from them. The app is free, but is chock-full of ads. Sometimes an ad will pop up just as the app detects a ghost, and you'll lose that spirit before the advertisements are finished. It's also a bit of a letdown when an ad for a happy-go-lucky game pops up in the middle of your scare-a-thon ghost-hunting session. 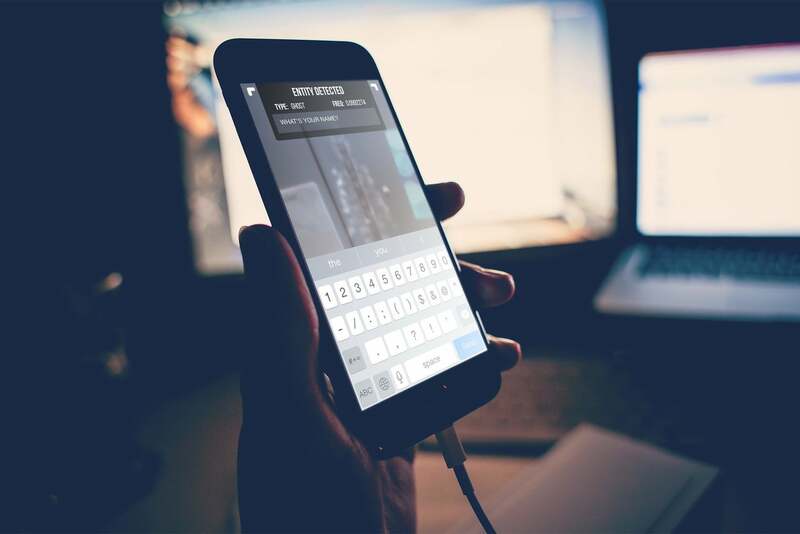 How the app works is obviously a trade secret for the developers, but its functionality is remarkable. If the ads annoy you too much, a $0.99 in-app purchase will get rid of them along with improving the app's detection and message translation speed. Okay, so I don't really believe in ghosts. However, this is a fun little app. The filter used with the camera is very neat, picking up on shadows that I didn't even realize were there. It seems to be inverting the light spectrum from the camera in your device, turning light into dark and vice versa. It's definitely eerie, and when you interact with the AI behind the ghosts' dialog with you, it adds a spooky element that will raise the hair on the back of your neck. It's a fun app to play around with, whether you believe in ghosts or not. I quite enjoy popping it out at friends' houses, after telling a few spooky stories and setting the mood for an eerie taste of the supernatural. Ghost Detector Radar might not be the real thing, but it certainly acts real enough. 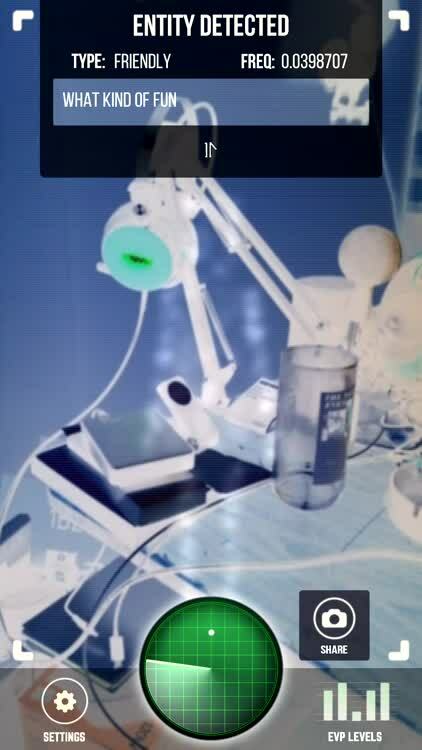 It's creepy, makes great use of filters, and even better use of augmented reality.